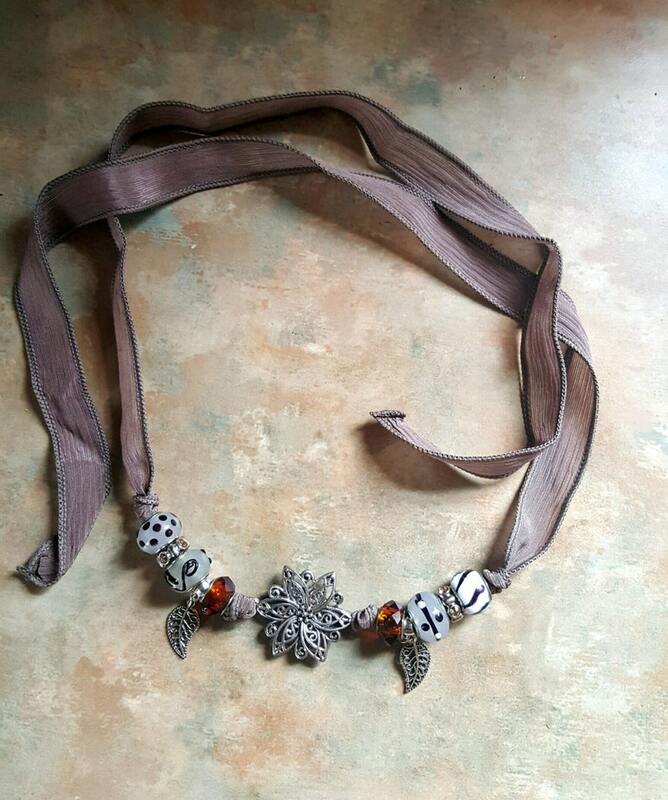 This beautiful necklace is a Bohemian gal's dream. It's made with a lovely taupe silk ribbon and decorated with gorgeous European style beads in colors of browns, golds, blacks. The ribbon is approx. 42 inches in length. There are two dangling leaf charms that hang from silver slider bails. The centerpiece is a lovely silver flower connector. You can adjust it so that it will be as long or short as you need it, by tying the ribbon to to the length you need.